This page contains links to some of the key national publications that set out the policy context and evidence for reducing alcohol and drug-related harm in Scotland. In Scotland, alcohol consumption in women of childbearing age is common and is recognised as a significant public health issue. While surveys show a pattern of decline in self-reported alcohol consumption in Scotland, the majority of women still drink some alcohol. 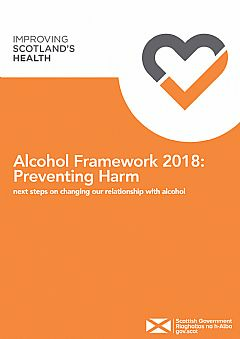 Alcohol Related Brain Damage (ARBD) Good Practice Guide, published January 2019 by Mental Welfare Commission Scotland discusses alcohol related brain damage as guidance for professionals working with peopel with ARBD. Rights, Respect and Recovery published 28th November 2018 is the national strategy for Drugs and Alcohol . 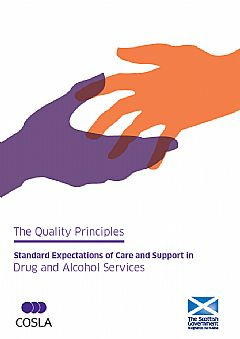 The Quality Principles, published in 2014, have been developed to ensure anyone looking to address their problem drug and/or alcohol use receives high-quality treatment and support that assists long-term, sustained recovery and keeps them safe from harm. 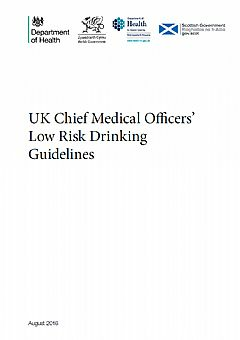 Summary of the new low risk drinking guidelines introduced in 2016 by the Chief Medical Officer. The guidelines were updated in the light of new evidence on the health effects of alcohol which means there is no amount that a person can drink without there being a risk to their health. 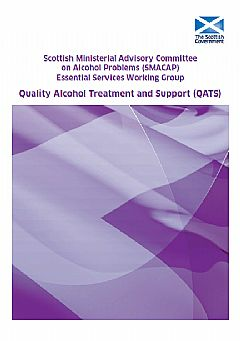 The report, published in 2011 by the Scottish Ministerial Advisory Committee for Alcohol Problems (SMACAP), builds on existing guidance and continues to advocate for a stepped care, tiered approach to alcohol treatment and support. 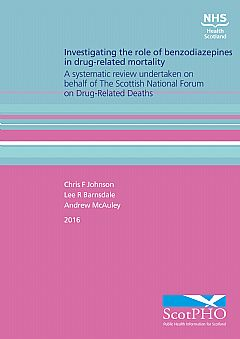 This 2016 Report presents the findings of a systematic review of evidence commissioned by the National Forum on Drug-Related Deaths in relation to benzodiazepines and the role they play in such deaths.